If you love to see the mountains up close but don’t want to climb to a hill top to do that, paragliding is the best option for you. Although there are several destinations to do paragliding in Nepal, people often point towards Pokhara city for the same. Why not? Because, somehow, paragliding was first done from the hills of Pokhara and by now it has developed as a hub for paragliders. 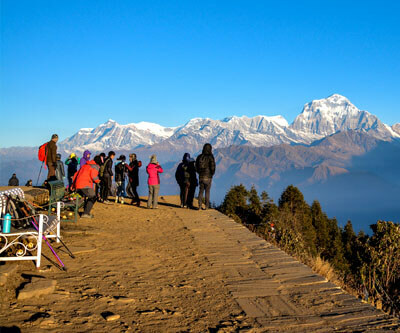 Pokhara is blessed with the views of the mountains from the doorsteps of your accommodations and paragliding with such views in the backdrop is like adding glitters on the gold. The trip usually lasts anywhere from half an hour to 2 hours and in today’s date there are several forms of paragliding. 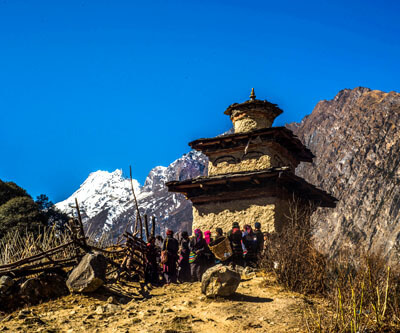 One is the simple way, where you drop gradually on the ground from the hill top of Sarangkot. The other way, is to drop down to the lake side feeding the rare hawk conserved by the hawk conservation project. This kind of paragliding is famed as parahawking and is available only in particular time of the year. Although there are several paragliding trips throughout the country, we would like to let you know of the best and that is of the one in Pokhara. We mostly arrange the trips in the mornings as the view in the morning is considered the best. 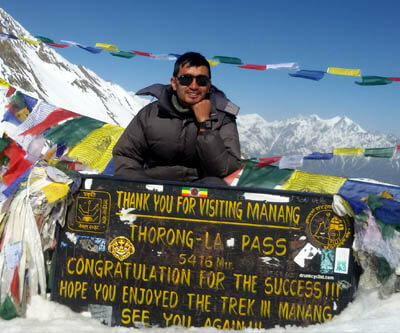 You will take off from the highest hill in Pokhara namely Sarangkot. You will be accompanied by a trained and a licensed paraglider. The person will have over 5 years in flying experience and as well an internationally certified and licensed. Once you take off, you meander high up in the sky. 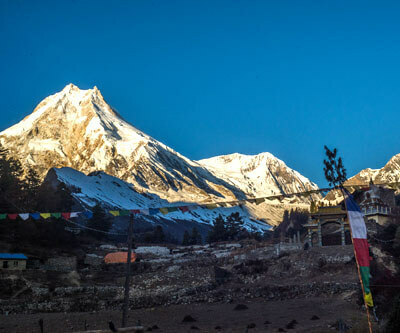 Meanwhile, you will get one of the best views of the mountains Annapurna, Dhaulagiri and Machhapuchhre towards the north. On the south side you will get the eagle eye view of Shanti Stupa, also known as the world peace pagoda. Right below, the hill of peace pagoda, you will see the best stretch of fewa lake and urbanizing Pokhara city. Let it be half an hour, an hour or two, the paragliding trip will never fail to mesmerize you. There are several surprise elements in the paragliding trip that cannot be expressed by words. You need to be on one of those flights to experience the true feeling of the flights. In the end of the trip, depending on your trip, you will be rewarded with photos and video of your paragliding trip. You can integrate a paragliding trip with any activity that you plan to do in Nepal. Book a paragliding trip with Crown earth today to get the best flight and the pilot !